The Edinburgh and Dore Lectures on Mental Science are required reading for anyone wishing to understand and control the power of the mind. Without these lectures the New Thought Movement and The Science of Mind might never have been born. 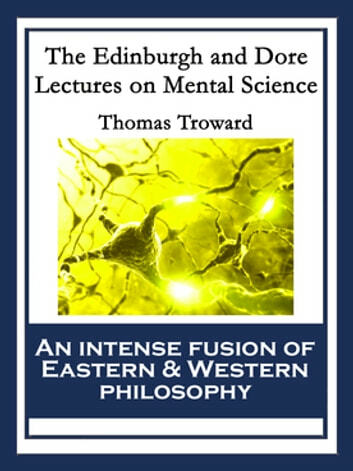 Thomas Troward was an early New Thought writer who had an immense impact on those who would follow. Ernest Holmes, Frederick Bailes, Joseph Murphy, and Emmett Fox cited him as a major influence, and Genevieve Behrend was his student. It is impossible to overestimate his importance to the New Thought movement. His intense fusion of Eastern and Western philosophy is unmatched.